Advancing accessibility supports the diverse needs of the Miami community and the University's commitment to inclusion. Accessibility benefits everyone. Incorporating the following steps into your processes will assist to provide an accessible learning environment for our student. Integrate accessibility into the planning process when overseeing or working on projects. Train your staff on accessibility so it comes from a top-down approach. Consider accessibility when deciding on technology purchases. Include accessibility when developing policies, procedures or guidelines for your offices or employees. 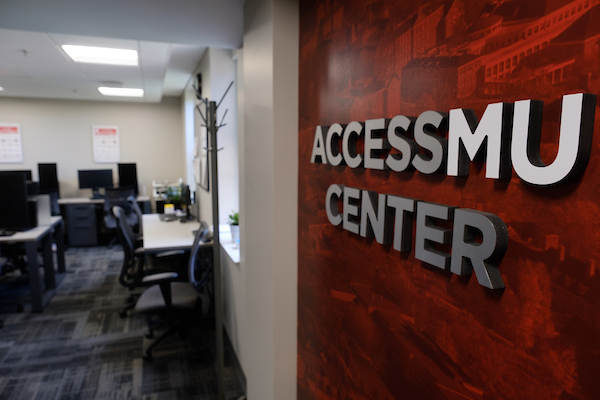 Consider consulting with the AccessMU Center to assist with accessibility needs. Provide a consistent layout, navigation, and design across the course platform making content easier to locate and use. Choose a layout style or theme within Canvas that has a strong color contrast. Make sure students can access all necessary websites or software application functionalities via the keyboard only, such as accessing menu options and navigating between different screens. Clearly identify each hyperlink destination. Typically, the title of the web page or document to which you are linking. Well-structured documents have a better chance of being viewable and navigable on different devices and for assistive technology. Avoid using color combinations that make the text hard to read. Try using color combinations with a strong contrast to make course materials more perceivable by everyone. Provide digital copies of course materials so that students will have the opportunity to listen to the documents on different devices or when using Assistive Technology. Configure copy machines to create digital copies of scanned documents. Use proper styles and formatting to create well-structured documents. This includes the use of headers and bulleted or numbered lists. Include an alternative description of images that are meaningful. Provide captions for all videos and transcripts for all audio files being presented in class. Consider presenting Google Slides with captions.